$199 Seen a lower price? This is typically a customer return with minor cosmetic imperfections, such as superficial scratches or scuffs on the finish. This inventory includes all parts, components, manuals (hard copy or downloadable). It has been tested to manufacturer's specifications and is guaranteed to work perfectly. It may be less attractive than Warehouse Resealed inventory, but it's priced even lower! This inventory is a great value. $219.99 Seen a lower price? Casio's LK-280 is part of Casio's educational line, making them ideal for any level of musician looking to create compositions, as the keyboards feature a 5-song and 6-track recorder, perfect for capturing original music. In addition, Casio delivers 600 built-in tones which include stereo grand piano tones, offering a range of dynamic and inspirational sounds for the musician to choose from. The 180 built-in rhythms provide a full range of accompaniment or individual drum patterns, triggering a virtual band at a musician's fingertips. The keyboards are equipped with Casio's renowned Step-up Lesson System, which allows novice users to learn the 152 built-in songs phase by phase, at their own individual pace. 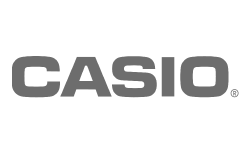 Utilizing the LCD display, aspiring musicians can learn both music notation and correct hand positioning, while Casio's innovative lesson system evaluates performance so users can track their progress and incremental success. The simplicity and power of Casio's LK-280 has the additional ability to teach with the aid of the lighted 61-Key Piano Style Touch-Response keyboard. Furthermore, each model features a class-compliant USB port, allowing for easy access to utilize the keyboard to rock out with popular music education and composition software, essentially eliminating the need to download drivers. The series also includes an audio input which transforms the keyboard into a stereo speaker system for a MP3 player.